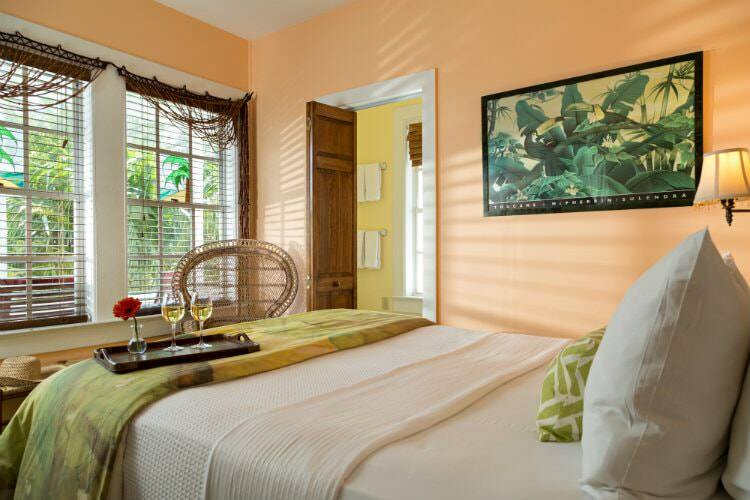 Accommodations at Tropical Inn are situated within a cluster of historic “Conch houses” on Duval Street, convenient to the Key West Express and collectively repurposed as a luxury boutique hotel, centered by a stunning secret garden. 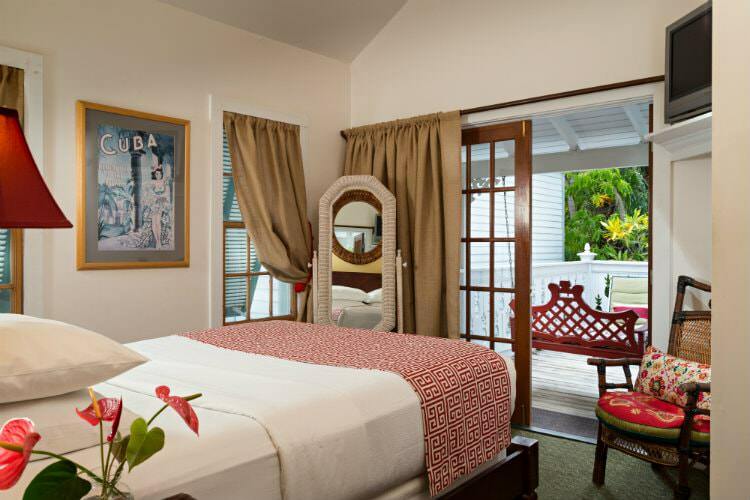 Furnishings in the Main House are reflective of its late-1800s “Old Florida” vintage, creatively interpreted to suit its present incarnation as an upscale lodging choice. 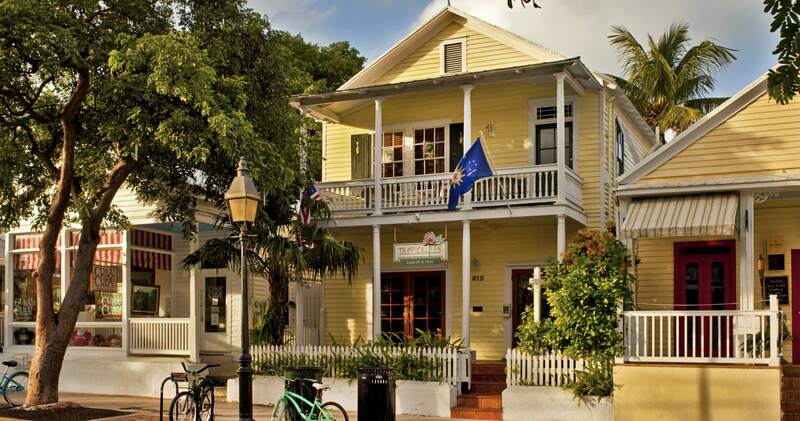 The result is an appealingly eclectic ambience, unlike anything else in the Key West, Florida lodging scene. 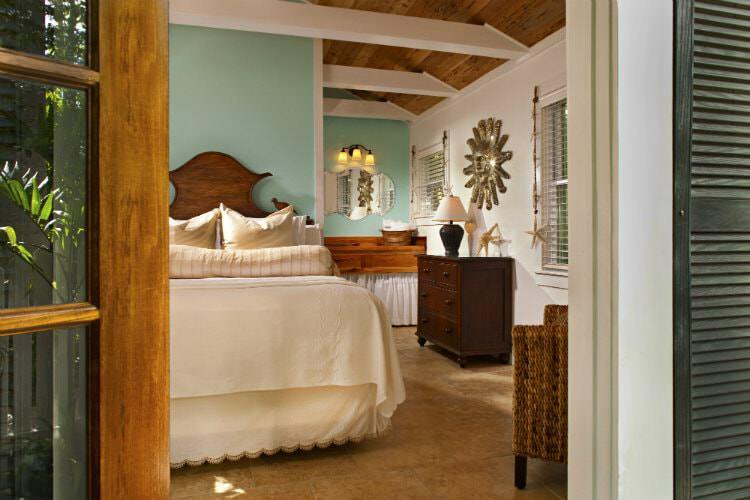 Beautiful beds of teak, mango wood, brass, and iron complement antique dressers and armoires. 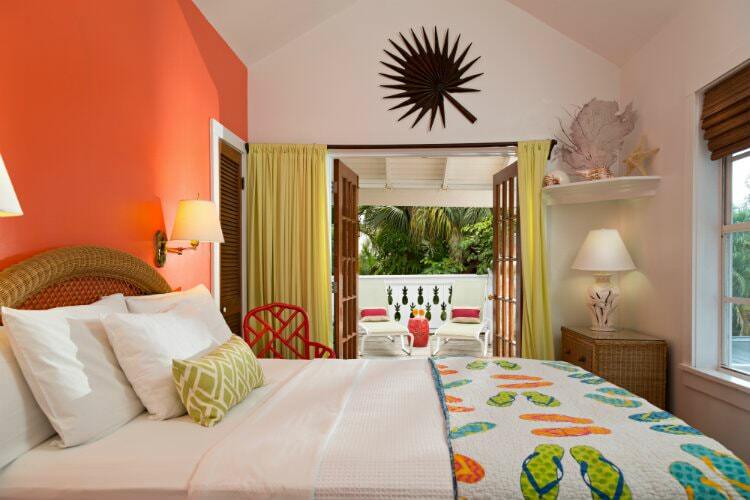 Judicious accents of wicker and rattan conjure a decidedly West Indies plantation vibe. 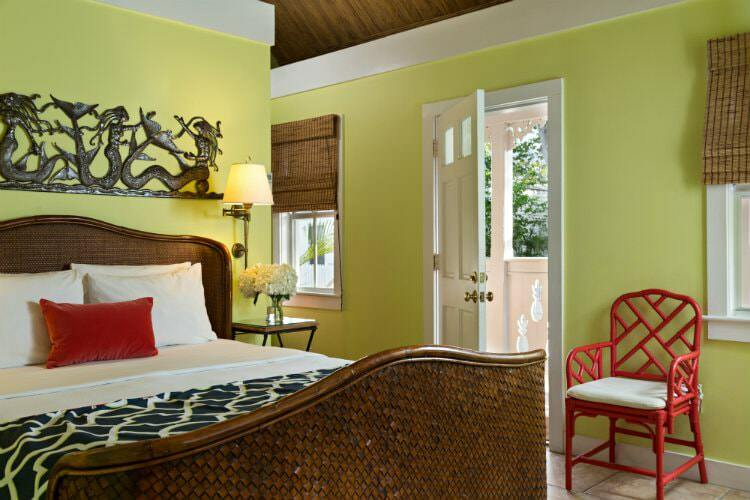 The architecture and interiors in the garden cottages are more contemporary, evoking a carefree island vibe through features such as vaulted bamboo reed ceilings, cool tile floors, and exotic furnishings hinting of Indonesia, the South Seas, and faraway adventures. While each room and suite at Tropical Inn is individually appointed, there are some aspects that are constant in every room: all exude understated luxury, featuring indulgently comfortable bedding, the finest linens, plush towels, spa-quality bath amenities, flat-panel cable television, refrigerator, and free wireless Internet. Baths are tiled in ceramic and natural stone. 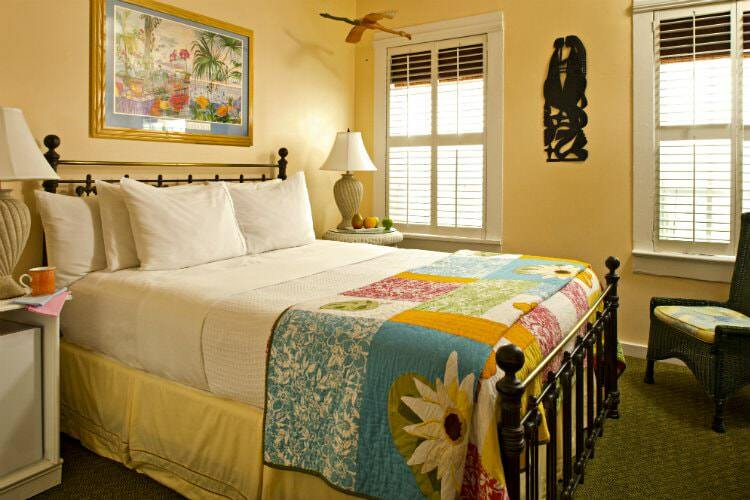 Beds are dressed in designer fabrics over top-quality pillows and mattresses. 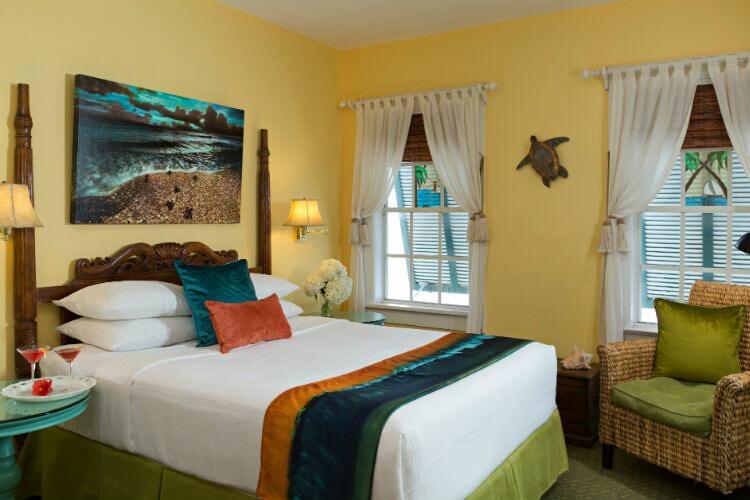 Light, breezy fabrics, natural elements, and Caribbean colors typify the casually elegant tropical living experience for which Key West is known. 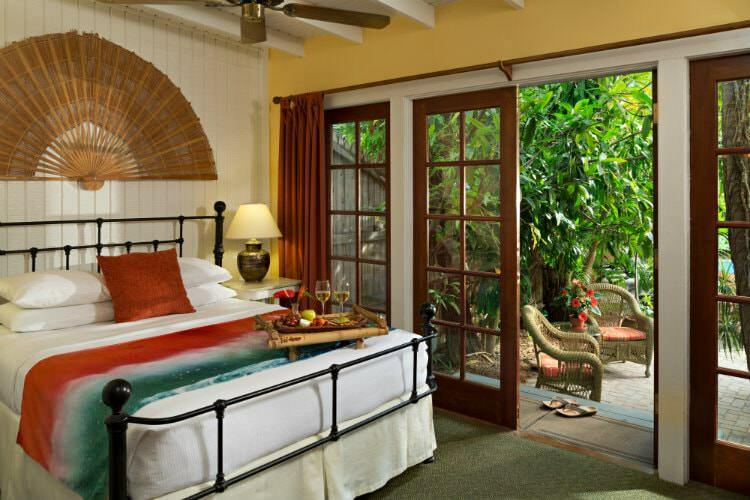 A variety of accommodations are available, all but one – the Banyan Tree Suite – featuring one handcrafted king-size or queen-size bed. The Banyan Tree Suite has an extra twin-size bed in a small room separate from the main sleeping area. The Classic Queen rooms in the Main House of Tropical Inn are situated near the Duval Street verandas. 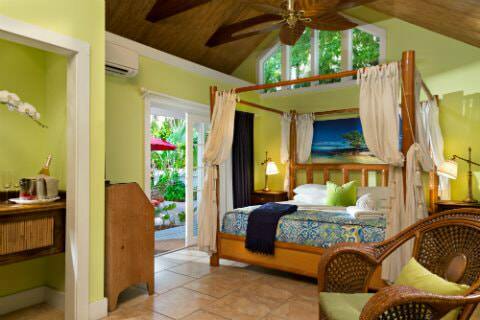 Another, the Coconut Cabana, is located in a garden cottage adjacent to the back porch of the Main House. The Premium Queen accommodations are situated in the Main House, overlooking the garden, and another in one of our garden cottages. Each of these rooms features pool views and either a patio or veranda to give guests the luxury of a private outdoor area. The Superior Suites are our most special accommodations, the Garden Cottage Suites. 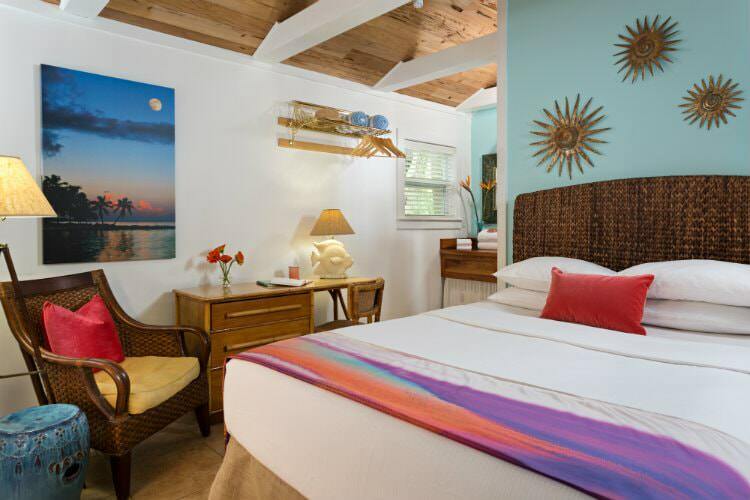 Each has a private outdoor area with its own spa and is much more spacious than the Classic and Premium Queens. 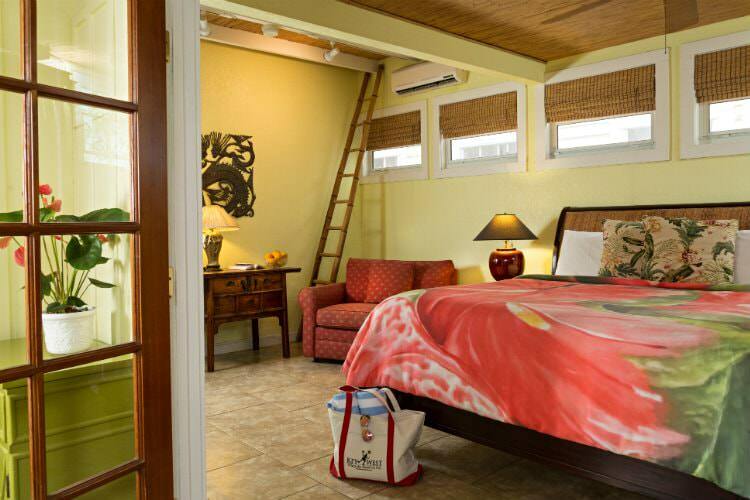 Two suites feature king-size beds, and one has a queen-size. Two of the three also include cottage-side designated parking.